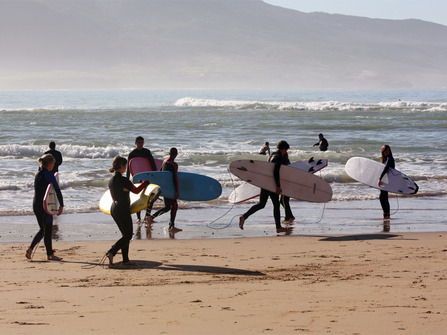 Trek in the Atlas Mountains, learn to cook in Marrakech & then head to the Atlantic; the perfect place to hone your surfing skills. Service rating : Excellent service all around. We had lots of helpful advice about where to go and where to stay. Pre tour information dossier spot on, loads of really useful and relevant information. Local guides wonderful, always punctual and very professional whilst maintaining a great sense of fun and adventure. We felt well looked after and enjoyed amazing scenery, hotels, food and adventures. The Atlas mountains and Sahara Desert were empty in August, amazing to have it all to ourselves. If you don't mind the heat think it's a great choice for a family summer holiday with teenagers, I think Morocco is missing a marketing trick here! 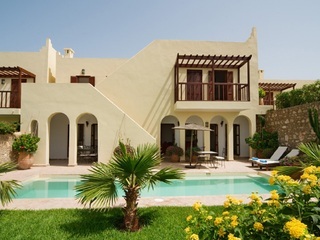 Product : Excellent value holiday to Morocco. We had a wonderful holiday, thank you. Something for everyone! It will be hard to find something else so unique and interesting again. We had a fantastic time in Morocco and everything worked to plan. We were collected on time by Ibrahim and he took us to Imlil in his Toyota Land-cruiser. Good journey to the Imlil Lodge which is very well placed with wonderful views down the valley. It is a little way out if Imlil but that suited us fine. the lodge is very comfortable and the food was very good and certainly set us up for the trekking. They struggled a little with the hot water but in this location this is not a surprise. The guide on the treks was Yousef who is a lovely lad and happy to engage in conversation as ‘required’. He has a detailed knowledge of the area and is happy to share this. The treks were about the right length being long enough to make us feel as though the trek was worthwhile without being too onerous. They were reasonably challenging but Ok for people with a fair degree of fitness and some stamina and determination. The views are of course spectacular and we are so pleased that we went. The Gites were fine. Yes basic but I would not have wanted to stay in a hotel as you would miss out. We were well looked after by Mustafa as well and he and his mule carried and prepared the food as well as our kit. The travel from Imlil back to Marrakech was again well organised and fine and we were met at the ‘taxi rank’ by Asif. He is a credit to the Riad and did a great job in looking after us. 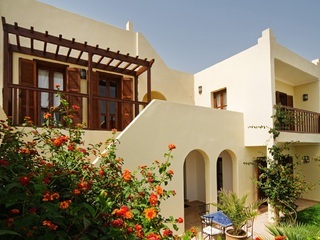 The Dar Hanane riad is wonderful and we had a very good suite there. Food was excellent. We ate there one evening and it was lovely to sit on the roof terrace as the sun went down. The half day cooking course was also worthwhile. The final stop was Ryad Watier is Essaouira. Jean-Gabriel is a character and is rightly proud of what he has built there. Excellent place to relax with good food and a brilliant welcome. We ate in the riad one evening and that was lovely too. Ibrahim took us back to the airport and dropped us off just a short walk from the terminal. It was a truly wonderful holiday with the right mix of activity, culture and relaxation (we took 4 nights in Essaouira) and we came back feeling refreshed and invigorated. 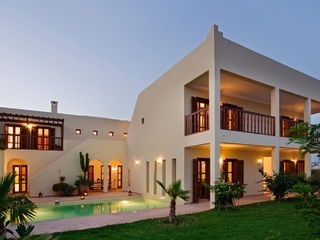 The organisation was spot on and the places we stayed were carefully and skilfully chosen. We would not have changed a thing. I also don’t think we would have saved much by organising the trips ourselves and I doubt we would have found anything quite as good. You arranged the most magnificent holiday for us – thank you so much. All the 3 hotels were brilliant – very different from each other. Mohammed was very helpful when we needed him. Pleased we weren’t actually in Marrakech last week when it was so hot – the Beldi was perfect as I spent the time in their blissful pool!!! 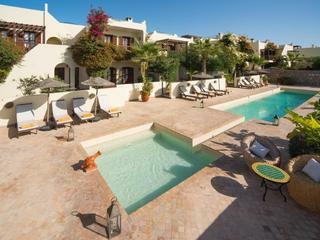 We very much enjoyed the bespoke holiday to Morocco everything ran very smoothly and very much to time. The trek was just what we wanted and Youssef, the guide, Hammid the cook and Mohamed were all excellent and made the trip very enjoyable. We loved Dar Adrar guest house and Riad Watier in Essaouira, good service and excellent local knowledge and lovely meal at the Riad. The drivers were all good and we felt safe. Thank you for arranging such a memorable trip for us. We were taken care of from the first greeting at the airport, thanks to Mohamed and his efficient team, but still felt like the independent travellers we wanted to be. The accommodation you chose for us was always a delight to discover, and the cookery course at Maison Arabe one of our highlights. We have just arrived home from Morocco following 10 wonderful days, Our trip from beginning to end was excellent with absolutely no hiccups! We loved every moment of our 3 part holiday. The mountain trekking came first and we were absolutely bowled over by the whole thing, we loved Dar Adrar and they couldn't have made us more welcome, Our guide Mohammed was great and it was fab to see Rashid our Muleteer every time we caught up with him, we think the best food we had was in the mountains! 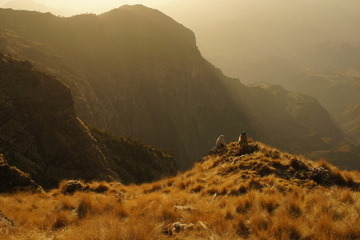 It was really good to get to the grass roots of trekking and even though the gites were basic it all added to it for us. We really felt we had achieved when we got back and would recommend it to others. The transfers were also perfect with not one problem, and the timings were spot on. 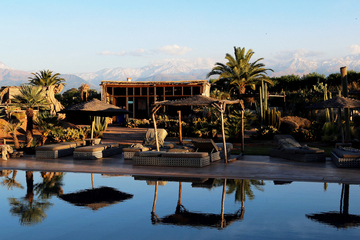 Dar Vedra in Marrakesh was a perfect haven just like the reviews said, it was a beautiful place to stay and we were very well looked after, It was very quiet when we were there and I can't understand why it is not full to overflowing. Villa D'Lo was also fantastic and we loved it there, the only thing was we had a nice room but it didn't have a window to the outside and was one of the cheapest rooms, it would have been nice to have one of the better rooms with a window but were unaware of this when we booked, saying that it didn't detract ,from our holiday at all. Overall I would mark Tourdust 10/10 an excellent holiday which ran perfectly. We would use Tourdust again and recommend to others. First, overall impression: terrific holiday, excellently organised at UK and Morocco ends. · Pre holiday contact with Tourdust: Rebecca, as the only person I ever spoke to, you represent Tourdust for me: you were consistently extremely responsive to all my questions by phone and email with both speed and helpful replies - customer service at its best. Your offers of extra service were also much appreciated e.g. purchase of bus tickets from Marrakech to Essaouira for us in advance. · Punctuality of pick ups and driving in Morocco: pick ups always on time, and drivers were courteous and interesting to talk to. Comfortable cars/mini buses. 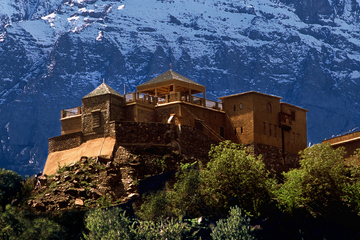 · Imlil: Dar Adrar is a wonderful place, with extremely kind and helpful staff. We were the only guests on that first night, and sitting on the terrace in the fading light as we ate our dinner was a magical way to start our holiday. · Trek: Lahsen was great: we particularly liked the fact that he quite often left us to walk on our own when the trail was very obvious. Ibrahim, our muleteer and cook was also great, though his English was more limited than Lahsen's. However, as Alison and I speak reasonable French we were able to talk to him too. We learnt a lot from Lahsen about the villages and vegetation that we were walking through. He seemed to know the whole world, and often stopped to talk to shepherds, shop keepers, and village elders as we walked. Those exchanges were always in his native Berber language, and we therefore felt just a bit left out of these sometimes long conversations. We didn't feel able to interrupt him, or to ask questions, but would have liked to. Perhaps he could be encouraged to somehow involve his client walkers in some of these conversations, or at least tell them afterwards about some of the content of the conversation? On one occasion, when we accompanied a couple of village women with their five cows for about 40 mins along a path, we did ask what they were talking about, and learnt that they were exchanging family histories. One of the women had worked in Marrakech as a maid, and had known members of Ibrahim's family. This interested us, as it led to a discussion about how women from villages sometimes have to work in the cities as servants to earn money - rather like in pre WW1 England. · Food on trek: superb: we were astonished at the quality and quantity of food every lunch time on the trek, and the evening meals were great too. There was always good veggie food for Alison, with often a fishy or meat option for me. At lunch times there was always a super view and shady spot and a two hour siesta on a foam mattress before setting off again - brilliant! · Accommodation: you had told me that we would be sleeping in tents when not in Imlil. However, Lahsen told us that only happened in the high season when gites sometimes fill up. So we were pleasantly surprised to be on foam mats in gites every night, with showers of varying sophistication - but showers nevertheless! - wonderful after 5-6 hours walking in temps of over 30 ! · Trek day three description: your text is a bit confusing here we think. We walked 4-5 hours to lower village, and then another 1.5-2 hours to Tamsoult, with additional altitude gain. We chose to stay at the refuge of Tamsoult (not a village), rather than in the village of Tizi Oussem, Lahsen gave us a choice, being careful to warn us, (on Mohammed's instructions!) that we might have to share a dormitory in the refuge). It was a long day but worth it . We were extremely glad that we chose this option, as the new (just two years old) refuge is fantastic, with stunning views from the terrace, wonderful showers, European style toilets, and comfortable bunk beds - the best night of the trek. There were only four other walkers staying in the refuge, so we had an eight bed dorm to ourselves. We gently teased Lahsen for not telling us in advance just what a great place this refuge is! The next morning - Trek day 4 - starting in Tamsoult meant that the waterfall was only 25 mins away, going up, away from the refuge. We then returned to the refuge, picked up our packs, and set off for Imlil which we reached at lunch time (so your description of trek day 4 needs amending a little). · Ascent and descent numbers: Our impression was that these were not terribly accurate, as they missed all the ups and downs within the walk every day. We were fit enough every day, but we reckon that on some days we walked a total of quite a lot more than the amounts of ascent and descent given on the descriptions for each day of the trek. 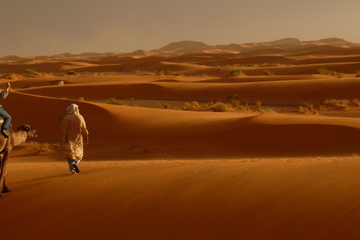 · Marrakech accom: Riad Tzarra was wonderful - just four rooms - we were the only guests. Staff couldn't have been nicer or more helpful. Air conditioning was great (it was over 40 outside!). At this time of year the roof terrace of Riad Hanan is too hot to be really useable, and we reckon that the courtyard and rooms of Tzarra are nicer! · Sites in Marrakech: we would recommend that you add the Museum of Photography to your list - just round the corner from Riad Tzarra and Place Moukef. Wonderful photos of Morocco in bygone times, and films of people in the Atlas mountains taken by a Frenchman in 1957 - fascinating - in many ways not much has changed. One ticket allows for unlimited entries over many days. · Bus to Essaouira: very comfortable. We did not know where Villa de l'O was, but found it after asking – worth mentioning, perhaps, on your notes, that it is only five mins walk from Supra Tours depot - a wonderful little oldy worldy place, with colonial era furnishings, and a roof terrace overlooking the beach. Great place, and great little town. · Return bus to Marrakech: when we received the bus tickets on arrival on first day in Morocco we were told that there was no 5pm bus from Ess to Marra (as we had requested), so we were given tickets for a 6pm bus. (which did not worry us) . However, at SupraTours office in Essouira we discovered that the 5pm bus did in fact exist - a relatively newly introduced Super Confort bus with wider seats (three across the bus – rather than usual four) and more leg room than the normal bus, and costing just 20 DH (2 euros!) more - so we swapped our tickets for that bus and had a very comfortable ride back to Marra, arriving in plenty of time for dinner. · Picking up a taxi in Place Moukef: not always easy: we had to wait 15 minutes a couple of times, so travellers need to be warned. · Dress code: many western women (and some men) tourists in Marrakech were very scantily clad, and we did not notice them getting leared at, or insulted, so it seems that in the big cities it is accepted nowadays that western women like to bare a lot of flesh short shorts, bare shoulders etc) . Still something that we, like you, would not encourage, but it seems to be no longer frowned upon as much as it was only a few years ago (according to friends who were in Morocco a few years ago). However, in the mountains life is still more conservative, so we think that shorts, and bare shoulders, should still be avoided (for both sexes). · Restaurant recommendations in your notes: we ate at your recommendations Cafe Epices, Fondouk, Earth Cafe and Djemaa foodstalls - all excellent. We would recommend Cafe du Livre in French quarter as excellent too (ten mins walk from Supra Tours depot. ), and free wifi! We had a wonderful trip. The accommodation was all great. 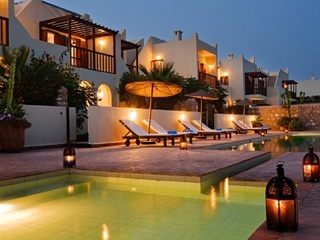 Dar Hanane was probably our least favorite but having said that I could not really find fault with it in any way. The taxis all arrived on time and the drivers were all extremely pleasant. The trek was great too. the food was excellent and our guide and cook were both extremely nice. We were lucky with the weather on the way up- cold but dry. we woke to snow on the following day which turned to torrential rain as we got further down the mountain! However we kept walking till lunch when the guides found us shelter and Mohammed sent transport to pick us up. I would certainly recommend your company to others, and indeed have already done so. We really had a wonderful time (despite us being unwell for a few days of the trip) and we found Anna at Tourdust and Mohammed in Morocco both really supportive, flexible & accommodating when we had to change our itinerary at the last minute due to being unwell. All of the staff at our riads and hotel were equally as fantastic & I think overall we would give the customer service and the trip itself five out of five!